Hours will be posted on our voice mail on a weekly basis. Please call 215-538-1340 before visiting. Check Our Instagram for updates. More information can be found under Frequently Asked Questions. Please remember you'll need to be able to tell time out on the water - bring a watch or a waterproof container for your phone. Last motorized rental is at 3pm. Last non-motorized rental is 5pm. All boats are first-come, first-serve. In Nockamixon State Park at 1542 Mountain View Drive Quakertown, PA 18951. Our phone number is 215-538-1340. What do we need in order to rent a boat? A government-issued photo ID for use as a deposit, and a form of payment. We accept Visa, Mastercard, and cash. We do not take reservations for boat rentals. 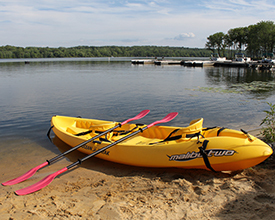 Follow signs in the park for Boat Rental; we have two large lots near our location in the center of the western shore. Parking is free. I'm bringing a very large group, what do you recommend we do? It will help you and our staff to discuss your plans with your group ahead of time, and review our boat selection. We do not rent motorized boats to large groups as it poses a safety hazard. Having a head count and a spokesperson is always helpful. Please be aware that while we have a large fleet of boats, weekends and holidays are peak times and demand can be high. What is the minimum age required to rent a boat? 16 for non-motorized boats, with a valid government-issued ID for use as a deposit. 21 for our electric motor boats. 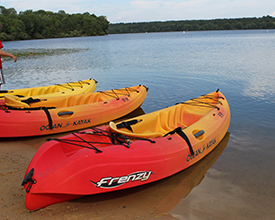 Adults who wish to rent non-motorized boats for their children must leave their ID as a deposit. We will not allow children under 15 on the water without an adult joining them. What is the minimum age for children boarding your boats? Are infants permitted on the boats? Children must be 2 years of age to board our boats. We reserve the right to determine whether a child may safely board a boat based on safety concerns. We recommend you call ahead with any questions, or prepare to have an adult on shore to stay with the child. Do we need life jackets? Life jackets are provided at no charge. If you would like to bring your own life jackets that is acceptable, provided they are Coast Guard approved. 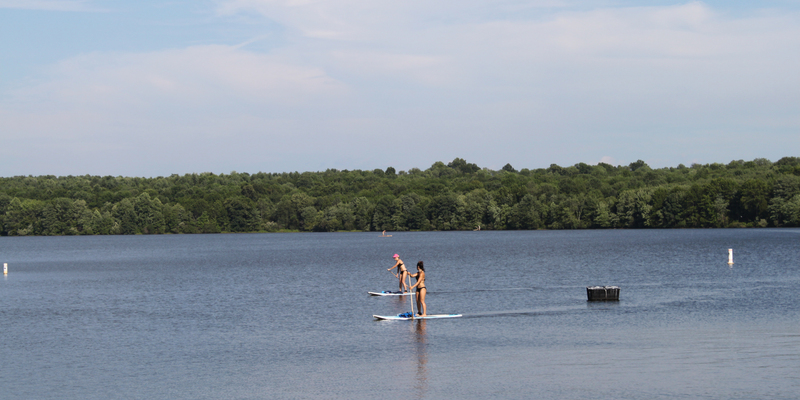 When using kayaks and paddle boards, you must wear your life preserver at all times in accordance with PA state law. For other boats, children 12 and under must wear a life preserver at all times, while adults need only have a preserver on board with them. Again these are included in your rental at no charge. Do babies/infants count towards a boat's max occupancy? Infants will not be permitted on our boats, and children must be 2 years of age to board. Please see the question below regarding children and max occupancy. We reserve the right to determine whether a child may safely board a boat based on safety concerns. We recommend you call ahead with any questions, or prepare to have an adult on shore to stay with the infant. Do children count towards a boat's max occupancy? 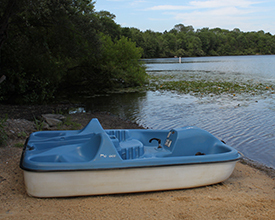 Our motor boat and row boat capacity allow you to swap out one adult for two SMALL children (generally around 40 lbs is the cut-off for a "small" child). Please see our price sheet for details. The rest of our boats have a strict maximum occupancy regardless of age/size, as your safety is our number one priority. Are dogs allowed on your boats? Dogs are welcome aboard our row boats and 14' electric motor boats only. Can we swim from your boats? Swimming is not permitted anywhere in Lake Nockamixon, from our boats or otherwise. Can we fish from your boats? Yes, however please be aware you must follow all PA fishing regulations including licensing. 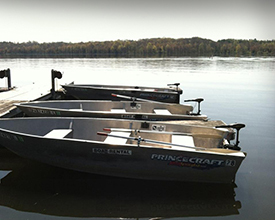 See the Pennsylvania Fish and Boat Commission website for more information. We do not sell fishing licenses on site, nor are they available in the park, so please plan accordingly. Can we launch our boat from your site? No, please launch your boat from one of the park's many convenient boat launches. A map can be found here. Is alcohol permitted on your boats? No, and alcohol is illegal inside Nockamixon State Park. How will we know when our rental is over? 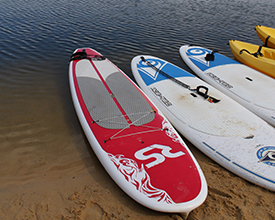 We will give you a return time when you begin your rental; it is your responsibility to have a way to keep track of the time while on the water. A watch or waterproof bag for your phone will be helpful. Other suggestions can be found in our Tips section below. Bring sunscreen, sunglasses and a hat. Bring extra funds in case you decide to stay out on the lake longer. Pack plenty of water and snacks. There is no vending machine available on site, however there is a small water fountain/restroom facility. Have a way to tell time out on the water. Protect your belongings - bring zip-closing bags for your cell phone, wallet and keys. Dress to get wet especially if you will be renting kayaks or paddle boards. In row boats, motor boats and peddle boats your feet may become wet. Shoes may be left on the grass or beach, but keep in mind we are not responsible for lost or stolen items. 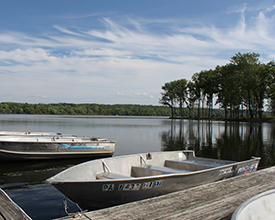 We are located in the 5,286-acre Nockamixon State Park. More information on the park can be found on the Nockamixon State Park website.